Local congressional candidates and their supporters bought more than $4.7 million in broadcast TV advertising in the general election, largely in the 49th District where incumbent Republican Darrell Issa squeaked past Democratic challenger Doug Applegate for another term. The Issa and Applegate camps bought a total of almost $3.7 million in ads on San Diego’s five major broadcast channels: CBS 8, ABC 10, NBC 7, Fox 5 and KUSI, according to an inewsourceanalysis of more than 300 advertising documents. That amounts to about 67 hours, 40 minutes of 30-second ads. inewsource could find no records of ad buys on major broadcast channels serving southern Orange County, which voted heavily in favor of Issa. Information on how candidates spend campaign donations helps voters keep track of the electoral process. Issa, headed for his ninth term in Congress, faced the closest race of his life this time around. He, Applegate and committees supporting them spent more than $11.5 million overall on the race. 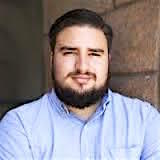 Carl Luna, a political science professor at San Diego Mesa College, said TV is an expensive but easy way for campaigns to reach large audiences. Jason Roe, campaign consultant for Republican Denise Gitsham’s unsuccessful effort to unseat Democratic incumbent Scott Peters, has seen the erosion of TV’s dominance. Of the five congressional races in San Diego County, the Issa-Applegate faceoff was most closely watched, followed by the race in the 52nd District, where Peters, who narrowly won the seat twice in 2012 and 2014, was ushered into a third term easily. Broadcast TV buys in that race started out furiously but declined when Peters’ lead seemed assured. Two of the congressional races in San Diego County bought no broadcast TV ad time. They were the re-elections of Republican Duncan Hunter in the 50th District and Democrat Juan Vargas in the 51st. In the race against Democratic incumbent Rep. Susan Davis in the 53rd District, unsuccessful challenger Dr. James Veltmeyer bought about $2,000 in ads. A note: The numbers in this story refer to the total amounts spent on ads, and include agency commissions that usually comprise 15 percent of the cost. Also, it’s not clear from the public documents exactly how many ads did in fact run, because they can be pre-empted during broadcast. The 49th District, which hugs the coast from Encinitas through Dana Point in Orange County, was not expected to be a close contest. However, after a strong showing in the primary, Democratic challenger Applegate launched a protracted and expensive race to unseat Issa, who was first elected to Congress in 2000. The campaign for Applegate, a former Marine colonel, bought about $1.3 million worth of broadcast TV ads. Some of those were hybrid ads, a relatively uncommon option that allows the campaign to share costs with the Democratic Congressional Campaign Committee (DCCC). It’s unclear how much of that money came from the campaign and how much from the DCCC. Robert Dempsey, the Applegate campaign manager, said this close cooperation is only an option because the DCCC is part of the national Democratic Party. For example, the Applegate ad titled “Still” shows text saying “Paid for by DCCC and Applegate for Congress.” Almost $1.2 million of ads bought in support of Applegate specifically list both his campaign and the DCCC as involved with the purchase. Issa recently filed a libel lawsuit against Applegate over the content of two ads the campaign ran. Outside political groups purchased about $440,000 of TV ads either promoting Applegate or criticizing Issa. The DCCC was the biggest outside spender overall in the race, investing $2.4 million to elect Applegate. Beyond the money spent on hybrid ads, about $405,000 went to broadcast TV ads, split between Fox 5 and KUSI, that aren’t listed as in support or opposition of any individual candidate. The House Majority PAC, a group that supports Democrats running for seats in the House, spent about $1 million in the race. About $32,000 of that went to broadcast TV ads. Two other independent groups targeted Issa. The Committee for Working Families, a political action committee funded by the California Labor Federation and the AFL-CIO, spent $154,000 in the race. About $3,000 of that went to broadcast TV ads. Issa started the race with one big advantage: a $3.7 million war chest. He purchased almost $2 million in broadcast TV ads. An Issa campaign spokesman did not return requests for comment. That early cash advantage helped Issa far outspend his opponent. He spent $6.2 million in the race, compared to $1.6 million spent by Applegate. An inewsource analysis of public files indicated neither campaign bought broadcast TV advertising in Orange County. That portion of the congressional district supported Issa in the election by a 3-2 ratio. Applegate won San Diego County voters but not by enough to offset Issa’s lead. Dempsey said advertising in the Los Angeles market, which covers Orange County, was too expensive so the Applegate campaign limited broadcast TV ad buys to the cheaper San Diego market. One of the few cable reports available shows Issa purchased about $130,000 in ads from Time Warner in the Los Angeles market, about 35 hours, 24 minutes worth of 30-second ads. Applegate bought about $68,000 of ads from the same cable provider, about 27 hours, 18 minutes of ads. About $22,000 of those ads also list the DCCC as a purchaser. Cable ad rates tend to be significantly cheaper than broadcast TV. Despite the millions spent, Luna, the political science professor, wondered if the Democrats could have done more to flip the district that was one of the few competitive races locally at any level. Democrats at the local and national level should have invested more in Applegate when they saw how well he did in the primary, Luna said. “It doesn’t help you at the end of the battle to have a lot of unused ammunition if you’ve lost,” he said. Dempsey, who was Peters’ campaign manager in his narrow 2012 victory over incumbent Rep. Brian Bilbray in the 52nd District, said he knows close races can go either way based on countless things. Dempsey said he’s proud of giving Issa the closest campaign of his career and he’s keeping an eye trained on 2018, when Applegate said he intends to run again. Issa won the race by about 1,600 votes. In the 52nd District, which stretches from La Jolla and Point Loma to Poway and Rancho Bernardo, Peters seemed poised for his third dragout fight since he flipped the seat from Republican control in 2012. Last election, this district featured one of the most expensive campaigns in the country, with millions of dollars from independent groups pouring in. This year’s challenger, Republican Denise Gitsham, a former Karl Rove staffer, spent a significant amount of money — $1.5 million through the end of the race. Peters started the election cycle with just $69,000, but raised enough to allow him to spend about $2.6 million during the campaign. Gitsham was successful at fundraising despite facing a couple early challenges, campaign consultant Roe said. “She was running against a relatively safe incumbent … who had some support from elements of the business community that would normally support Republicans,” he said. In total, the two candidates bought just less than $1 million worth of TV ads — about 22 hours, 24 minutes of 30-second ads. However, public documents show both Peters and Gitsham pulled back on TV advertising as the race wore on, canceling or reducing tens of thousands of dollars of ads. MaryAnne Pintar, campaign manager for Peters’ campaign, said the party registration breakdown of the district — about evenly split among Republicans, Democrats and independents — prepared them for an expensive fight. “We expected, and we’ll always expect, that we’re going to have a competitive race,” she said. This year, however, most of the independent money flew north for the more closely fought race in the 49th District. Only two independent groups weighed in to the 52nd, both in support of Peters. The American Hospital Association PAC reported spending about $250,000, mostly on television ads. However, inewsource didn’t find any records of its ad buys on the five main San Diego TV stations. Roe wasn’t surprised that no independent groups supported Gitsham. “Most of the money that the (National Republican Congressional Committee) and the super PACs aligned with the Republicans (spent) was focused on protecting incumbents,” he said. An inewsource analysis of public documents from KUSI and CBS 8 suggest large ad buys were pulled, trimmed down or even canceled, by both campaigns, as the likely outcome became clearer. In the last week of October, the Gitsham campaign canceled a net of about $126,000 worth of ads in those two channels. The Peters camp made similar reductions. During the last week of October, and on Nov. 1, his campaign cut roughly $110,000 of ads on KUSI and CBS 8. It’s unclear based on the documents available if similar cuts were made at the two other stations — NBC 7 and ABC 10 — that reported ad buys in the race. Pintar said the Peters campaign was tracking the large ad buys Gitsham made early in the election cycle. Instead, she said, the campaign refocused resources on direct voter contact efforts in its field office. The campaign did internal polling about four weeks out, its first since after the primary to assess Peters’ position in the race. “When we got those numbers we thought, ‘Wow, this is way better than we thought it was going to be,’” Pintar said. Although Pintar said the campaign had several negative ads on Gitsham ready to go, the numbers played into a decision to only run positive ads about Peters. Roe said the Gitsham campaign tried to spend big earlier than usual in the race in an effort to narrow Peters’ lead in the polls by the time independent groups did their own polling. If they saw a competitive race, they might decide to jump in. “It was a gamble on our part, but one that I think we recognize was worthwhile,” he said. The Peters campaign, Roe said, likely also front-loaded its spending to keep the race from getting close. In the end, no Republican-leaning groups got involved and Gitsham spent slightly more than $360,000 on broadcast TV advertising, coming out to 8 hours, 48 minutes worth of 30-second ads. Peters spent a little more than $632,000, about 13 hours, 30 minutes of 30-second ads. Peters won re-election with 56.5 percent of the vote. In the three other congressional races in the county, only one candidate bought airtime on broadcast TV. Dr. James Veltmeyer, head of family medicine at Sharp Grossmont Hospital, bought $2,180 worth of ads on KUSI. Veltmeyer was challenging Democratic Rep. Susan Davis in the 53rd District. Davis won re-election by 34 percentage points. Davis spent $456,000 in the race, largely to support other candidates and on various campaign expenditures. Veltmeyer spent $120,000. The California Democratic Party spent about $2,600 on TV ads from Fox 5. However, it is unclear from the public documents whom the money was meant to support. No broadcast TV ad buys were recorded in the 50th and 51st districts. Rep. Duncan Hunter spent about $878,000 in the race, some to support other candidates and for expenses like campaign consultants. His campaign dwarfed that of his opponent, Jeffrey Malloy, who spent almost $24,000. Rep. Juan Vargas spent about $985,000, much of which went to support other candidates, retire debt from his 2014 race and other campaign expenses. His opponent, Juan Hidalgo, spent about $76,000. Hidalgo was also helped with $424 of outside money from Special Operations for America, an independent political group that seeks to elect U.S. veterans to Congress. Be the first to comment on "Congressional candidates spent almost $5 million on TV ads in San Diego"